The following page is filled with useful information and helpful tips for ghost hunting. Residual Haunting - This is when a haunting is not interactive with the living. Basically, the spirit(s) goes through motions almost like a recording replaying the same moment(s) over and over. This type of haunting is generally harmless, although sometimes creepy nonetheless. Intelligent Haunting - This type of haunting occurs when a spirit is able to make contact or communicate with the living in some way, shape, or form. At times these occurrences can occur when a spirit has unfinished business in the land of the living. Sometimes it is possible to help these spirits find rest by assisting them. Poltergeist Haunting - A poltergeist is a mischievous restless spirit that makes it's presence known by moving or throwing objects, turning things on or off, slamming doors, or breaking items. 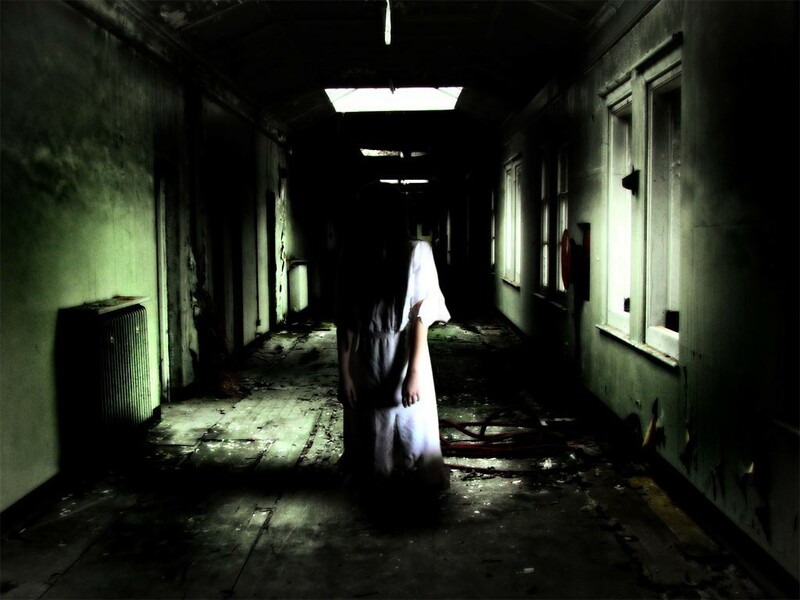 Demonic Haunting - In these cases, you are not dealing with a normal spirit, but a malevolent entity. The demon's ultimate goal is to possess a host, but first it makes its presence known usually by pretending to be something or someone it is not. It can take the shape of someone familiar or presumably innocent looking. It uses lies and deceit to gain trust, before becoming oppressive in nature. At which point, it begins attacking the living in various ways causing physical harm and emotional torment, until the person becomes vulnerable enough to possess. This by far is the worse kind of haunting and it should not be taken lightly. Animism – A system of beliefs about souls and spirits typically found in tribal societies, in which they feel that the world is abound with spirit entities of various sorts that have no direct connection with the living or the dead, though they may transform themselves into animals, humans, or they can just make themselves felt in other ways. Anomalous – Something that deviates from the common rule, method, or form, and is otherwise abnormal or unexplained. Anomaly – An incongruity or inconsistency in the norm. Apparition – What is seen, heard, felt, or smelled that represents the part of the human personality that can somehow exist in our physical universe with both intelligence and intent after the death of a person’s body. Apport– An object that appears in the presence of a medium or spiritual adept, as though it has been formed from thin air or had passed through solid matter. Asport – The opposite of apport, it is an object that allegedly is made to disappear or be transported through matter. Automatism – Unconscious muscular movement often attributed to supernatural guidance, such as writing, painting, speaking, playing musical instruments, composing, dancing, and singing. Bi-location – An unusual phenomenon in which a person or animal appears to be in two places at once projecting a double of themselves sometimes appearing in the form of an apparition. The double is often noticed not to speak and acts oddly. Cairn – Heaps of stones used as either memorials or grave markers placed to protect both the dead and the living. Channeling – A means of communication between the living and the dead, in which a living person allows a dead person to take over their body temporarily in a trance-like state in order to send out a message. Clairvoyance – A French term meaning “clear seeing” and it refers to the receiving of information from objects or events at the present time without the use of normal senses or without piecing together things from clues that might be available. Someone who is considered to be clairvoyant is more prone to being aware of his or her psychic potential. Cognition – The act or process of having awareness of something. Demon Possession – A human who has become inhabited or “taken over” by a demon and who cannot, consequently, exercise his own will. This is noted in the "New Testament," of the Bible, specifically in Mark, Chapter 5, verse 12. Josephus also mentions a method of exorcism prescribed by Solomon, which had prevailed or succeeded greatly among them down to the present time. Unfortunately, the method used is not described. 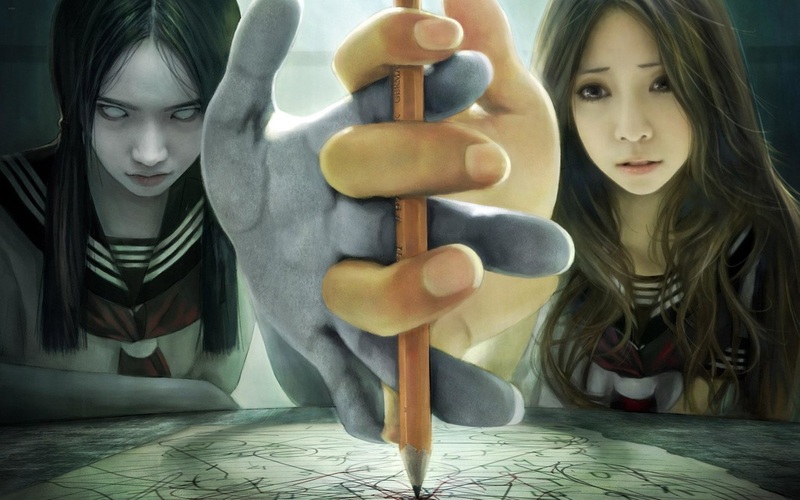 Demonology – The study of demons and their effects on mankind. Check out our page dedicated to Demonology. Ectoplasm – Also called psychic fog or spirit energy, it is lifelike substance that appears often in a milky white color either as solid or a foggy substance, which can be seen fully on a photograph or concentrated in one specific area with the smell of ozone. When evaluating a photograph, which has ectoplasm present look deep and you might be able to see appendages closely resembling limbs of a body or even a face. Entity – A being that has a real existence. Exorcism – The expulsion of ghosts, spirits, demons, or other entities that are supposedly possessing or disturbing a human being or a place that human beings frequent. Ghost – An alleged spirit of the dead that generally makes its presence known to the living through mysterious noises, smells, cold breezes, the movement of objects, or by visually appearing in one form or another. Ghost Hunt – Going to a place where there have been no sightings of ghosts and trying to catch some on film (video and/or photos), sounds, eyewitness, etc. (Graveyards are the number one place to start, but you can also go to churches, schools, and old buildings, too). Ghost Lights – When a globular is illuminated or has a distinct color it is known as a ghost light. Ghost lights are usually seen in multiples and sometimes within the camera flash when photographing. They are also commonly known as sparkles. Globules – These are the most common in psychic photographs. They are spherical in shape and can be transparent or translucent. Globules are mostly seen hovering over a specific grave. However, sometimes it may only be dust or mist in the air. Haunting – An environmental recording or imprint of a past event that can play back repeatedly in a location for many years, where a spirit will seem to be doing something that they did in life. No interactions can take place with this type of apparition. Levitation – The lifting up into the air of objects, persons, and animals without apparent natural means and in defiance of gravity. Light Rod – The Light Rod appears in a stick or bar like shape in photographs. This form sometimes will have a bend to it, which it is then referred to as a Swirling Light Rod. When reviewing a photo containing these notice often there are globules present around or within the rod. Materialization – The process of forming seemingly solid spiritual faces, body parts, or complete spirit figures by a medium during a séance. Medium – A person who serves as an intermediary between the physical world and that so-called plane of existence where spirits of the dead reside. Mediums are sometimes referred to as psychics. Necromancy – The conjuring of the dead or the spirits of the dead for magical purposes, especially prognostication. Orbs – Energy anomalies recorded at some haunted sites through the use of infrared monitors or photographic film, as they are not visible to the naked eye. Ouija– A type of talking board featuring all the letters of the alphabet, the numbers zero through nine, and the words “yes” and “no” which is used for divining answers to questions and talking with spirits. Paranormal – Something that is beyond what one would consider being normal. Paranormal Investigation – Going to a known haunted place and recording data (video, photos, audio, temperatures, notes, interviews) and other evidence to prove or disprove the haunting and to assist the owners and the spirits in moving on and leaving the place, if that’s what they want. The assistance can be either you directly assisting the owner with the situation or putting them in contact with experienced groups or individuals that will try to resolve their situation. Your assistance can be something as simple as educating them on what is going on and their options. Pareidolia – A psychological phenomenon involving a vague and random stimulus (often an image or sound) being perceived as significant. Some common examples include seeing images of animals or a face in the clouds, the man in the moon, and hearing hidden messages on records when played in reverse. Phantasm – A type of apparition or ghost. Phenomenon – A fact, occurrence or circumstance observed that impresses the observing as extraordinary. Phenomena would be the plural form of the word. Planchette – A device that is usually a thin heart-shaped wooden platform with three legs, two on wheels and the third a pencil, intended to facilitate communication with spirits. A variation of this device is used with Ouija boards. Poltergeist – The German translation for “noisy ghost,” it is a more physical type of haunting that often revolves around one person or “agent” and usually only lasts for no longer than a year. It consists of unexplained banging sounds, objects moving on their own, or sometimes flying across the room. Some researchers believe that a poltergeist is actually the result of the agent’s own dormant psychic ability due to high levels of stress. Possession – The taking over of a person’s mind, body, or soul by a departed spirit, demon, or other entity. Precognition – The ability to receive information about objects or events that exist in some future time. Pseudopod – An ectoplasmic extrusion from a medium that develops into a false hand or arm. Psychic – It pertains to mental phenomena originating outside of normal physiological processes and outside of natural or scientific knowledge. Psychokinesis – The ability of the mind to influence material objects or processes without the use of known physical processes, or to put it simply mind over matter. Psychomanteum – A special place where one consults with or contacts the dead. Psychometry – The ability to read the history of an object or location, or gain information about the people associated with said object. Rapping – One of the earliest discovered forms of alleged spirit communication; it includes knocking, thumping, bumping, or tapping associated with discarnate messages. Reincarnation – The idea that the soul returns after death to a new body to live another life. Retro-cognition – The awareness of objects and events that existed in the past. Revenant – A term for ghost common in earlier times it is another way to describe the dead who return from the grave. Seance – A sitting organized for the purpose of receiving spirit communications or paranormal manifestations via the services of a medium. Sentient – Conscious; having the power of perception by the senses. Spirit – A discarnate being, essence, or supernatural force of nature. Telepathy – An awareness of information or emotions that exists in the mind of another, or mind-to-mind communication. Telekinesis – A form of Psychokinesis, it is the ability to mentally move objects. Vortex – The Vortex appears as a funnel shaped image in a photo similar to the Swirling Light Rod. It is an uncommon type of photo, but when taken it’s a keeper. There are generally two types of spirits you may encounter. One was a human at one time and it has remained on this level for some reason. It may not know it’s dead and it might be held here by unfinished business, guilt, etc. These spirits are like the person was when they were alive, so they could be good or bad, just like the living, but normally they are not dangerous. This human spirit is the type you will encounter 95% of the time. You could also witness a residual haunting, which is just a playback of a past event. This is just like watching a video from the past playing over and over. The other types of spirits you may encounter were never human and are generally bad news. You must be aware of these types, but not obsessed with them, the chances that you will encounter them in a regular ghost hunt are very slim. So be aware and protect yourself and you should have no problem. A scene from "Ghost Encounters"
Check out the area in the daylight so you are familiar with it. Look for dangerous places and obstacles that you will not be able to see in the dark. Look for “No Trespassing” signs and make sure that you’re not trespassing. If you are on private property you are risking getting a ticket or getting arrested in some areas. You can get permission from many owners and or caretakers. You can even notify the local Police that you will be in a graveyard taking pictures, so they are aware of your presence. If you are asked to leave, then do so immediately. You will not win this argument and you make other investigators look bad if you make a scene. Make sure you bring your IDs (drivers’ license, etc. ), so that if the police arrive, you can prove whom you are. Never go alone. This is just common sense. If you get hurt, who will get help? The best times are from 9pm to 6am. These are the psychic hours, but anytime can produce results. Photos have historically been better in the dark, but don’t let that discourage you from taking them during the day. Find out all you can about the history of the locale. Newspapers, town historians, the Internet, and books can be helpful finding folklore or hard facts about the site. The books and web pages dealing with this type of info are enormous. Keep in mind that many of the people who will request an investigation will want to be comforted, educated, and they may even want the spirits to leave. Whatever your approach or beliefs, be prepared for this and if you are not willing or cannot help the people in the way they would like, at least provide them with names of people who may help them. Also, try to educate them, so they can understand what is occurring. After explaining what is happening to a witness, many will no longer be frightened, or as concerned, and you will have done them a great service. If you are a person or group that does offer more assistance through psychics, spirit rescues, etc. remember that the interests and the feelings of the living come first. 2. Enter the site and either privately, or as a group, ask for blessing or protection for the duration of the hunt. You can use this time to put yourself in a positive frame of mind. It does not have to be a religious thing so everyone can do this in some way. I do encourage everyone to take the 10 seconds this takes and do this. What can it hurt? It’s better to be safe than sorry. Many experienced groups believe that there are evil spirits in many areas such as cemeteries and by saying a 10 second prayer or making sure you are in a positive frame of mind you can safely go about your business without worrying about them. An experienced demonologist will tell you that by doing this in the name of God or whatever good deity you worship, you will keep any non-human spirits at bay since they have to leave you alone when told so in this manner. 6. When you are done have everyone meet in one spot and ask the human spirits here not to follow you home and to remain here. Tell the others they must remain here in the name of God (or other good deities). Again this takes 4 seconds, it’s simple and it can save you some problems down the road. If we are wrong about these prayers at the beginning and end of the hunt and they are not necessary, then you’ve only wasted 14 seconds of your time. If we are right about them, you saved yourself from a lot of problems and grief later on down the road. Every investigator or team should keep a log of events and times. Everything needs to be logged, no matter how trivial. If you sneeze, log it in. It may have sounded like something else to another member elsewhere in the building. All members and owners, if possible, should walk through the location. Have one person map the location noting air vents, heaters, computers, fuse boxes, electrical appliances, etc. Mark down the temperatures in the rooms and any EMF reading you get during this walk through. Have one member take 5-10 test photos during the walk through. Do not discuss the details of the case during this walk through. Any witnesses that have not been interviewed before should be interviewed by 1-2 investigators and taped and/or videoed, if it’s okay with the witness. The other members should walk around the location and record any feelings or observations. Only the interviewers will know the location of events and sightings. If it is raining, snowing or foggy and you are scheduled to do an outdoor ghost hunt, reschedule it. You cannot conduct a proper investigation in these conditions. Keep an open mind. Any negative feelings may drive the spirits away. Be respectful of the locations and the dead. Be skeptical. Look for causes for any phenomenon such as natural or man-made causes. As an investigator you have to make sure your final evidence will stand up to scrutiny. By eliminating all other explanations, your evidence becomes stronger proof. No whispering, whistling, humming, or singing because it can taint your recording results. The Tax Assessors Office can give you historical info on many locations you visit. Make sure you let someone know where you will be, so they will know in case of emergency. What's the Difference Between "Ghost Hunting" & a "Paranormal Investigation"? _ A ghost hunt is going to a location to see if it is haunted or not without having any prior information about the location being haunted, while a paranormal investigation is when you go to a place that is known or rumored to be haunted and search for evidence to prove that it is indeed haunted. These are some places where you can start ghost hunting. These are suggestions and you should not limit yourself to just these, spirits can be anywhere. Don’t let the age of a building or area fool you and remember not to get caught trespassing! There is one more thing you should keep in mind. If you go looking for ghosts, you might just find one, so don't get scared and start running away like a coward. If your first instinct is to run away, you might consider playing video games instead. This is not for you. You may want to inform any spirits you communicate with that they are not allowed to follow you home because some of them will! Battlefields – These are great locations simply because of their nature and easy accessibility. Many violent deaths in one area will always hold some spirits and psychic energy there. The United States has dozens of such locations from the American Revolution and Civil War. Plus, there is also Pearl Harbor at Hawaii. Books on Local Haunted Places – Many establishments let an author publish the fact that their place is haunted, so there is a chance they may allow you in to take a look giving them business and attention. Cemeteries – The age of the cemetery doesn’t matter, but the older it is, the more time it has had to accumulate restless spirits. Why cemeteries? Well there are theories such as they are portals to the other side or that some spirits are drawn to their former bodies. Churches – There is a long history of the faithful returning to the church where they once worshiped. They may be looking for the salvation they were promised and cannot find. Historic Locations – Many historic buildings, because of their age, have had more time to have spirits attach to it. These buildings are often open to the public and can give you an easy place to start. Many even have known histories of hauntings and you may be able to gain access to the building after hours, after speaking with the caretakers. Hotels / Motels / Boarding Houses – Many dark dealing and highly emotional events take places in these rooms. Hospitals - There is no doubt numerous people have suffered and died at almost every hospital. While it is difficult to conduct a paranormal investigation at a fully operational hospital, there are many that are abandoned and easily accessible. Residential Locations – Many houses are haunted, as well. Sometimes old cemeteries are cleared out for the construction of housing complexes causing the eternal rest of the dead to be disturbed. Schools – Schools and former sites of schools may have the build up of psychic energies and imprints of all the highly emotional events that have transpired there. Theaters – The actors have run the gambit of human emotions inside the walls of a theater. Plus, many have interesting hauntings attached to them. 35mm Camera – Nothing too fancy with at least 400-speed film. 800-speed film is also good at night, but you’ll have to test your camera’s flash strength to see which speed works best for you. Even those single use 35mm cameras have gotten good results. If you are a more experienced photographer you may want to try infrared film. There have been results from Polaroids, but it is suggested that you only use these along with a 35mm camera, so you can compare the results. You can use Fuji film, Kodak film, or any department store brands with similar results. When you develop them you don’t need to go to a camera shop, the local drug store or department store is fine. Just let them know you want all of the pictures developed, so you get the pictures that they might think are bad ones. These “bad ones” are normally your best ectoplasm mist photos. Digital Cameras / Camcorders – Regardless of what you might have heard digital cameras are great tools for ghost researchers. Once upon a time they had their limitations and problems, but that is no longer the case. Not only do they allow you to see instantly if you have a positive photo, but they can also take photos in a limited infrared range of light. You should also invest in an infrared, full spectrum, and thermal digital cameras and camcorders. A Bell + Howell Infrared Digital Camera can be seen in one of the following images. It has been invaluable to our night investigations. However, be warned, it takes a very steady hand to avoid blurry images. If you are not using a tripod, I suggest leaning your arms against something sturdy to keep the camera steady when taking photos. LED Flashlights w/ Spare Batteries – A common sense item. Remember to bring spare batteries for everything. Due to spirit activity, batteries often run down very fast and you don’t want to miss anything because of dead batteries. I recommend using a red, blue, or green lens flashlight to help preserve your night vision, as shown in one of the following images. First Aid Kit – Just in case, it’s very easy to trip in the dark and get cut. Notebook w/ Pens and Pencils – You need to write and log in everything that happens. If you don’t, then you really don’t have much research information. An example of this is one investigator gets an EMF reading that’s high and never writes it down. Another investigator takes a picture of the same area, but is not aware of the reading and gets an anomalous image. Without that EMF reading the picture may be good evidence, but with a report noting the reading, the picture greatly increases in evidence value. Many investigators use a pocket tape recorder instead and that is fine, just make sure you have spare batteries and tapes. Hand Held Radios – Walkie-Talkies are very useful in a large outdoor area and a building with groups spread out in various rooms. They could be great in emergency situations or just to rotate groups. Be sure to be aware they could interfere with your EVP recording, though. 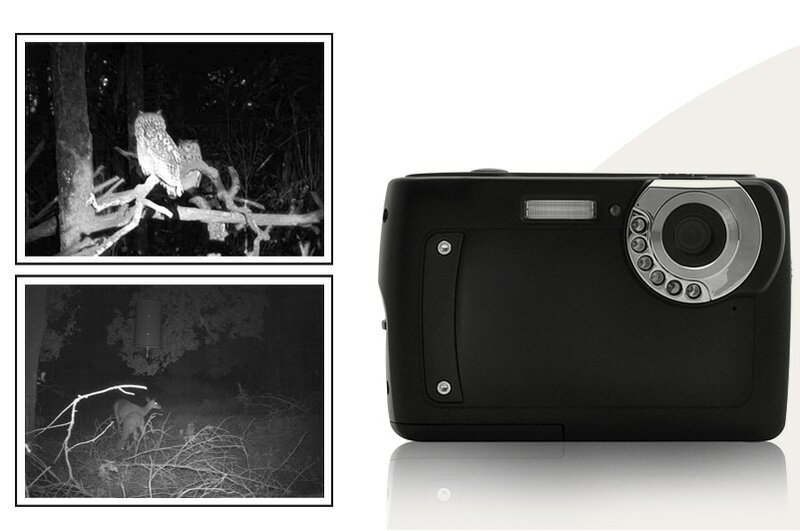 Nightvision Camcorder (w/ Optional Tripod) – Video cameras are an important instrument for an investigation, especially when they have night vision capabilities. Unlike still cameras they provide constant visual and audio surveillance for review and observation. Some video cameras used are equipped with infrared capability and it’s one of the best modes to use. With video any phenomena occurring can be documented in its entirety. This will show the length of time that the phenomena occurs, what is happening, the conditions surrounding the phenomena, and possibly even the cause of the phenomena. The Sony line of camcorders has an infrared night shot feature that enables you to videotape in complete darkness and see beyond what the human eye can see. You can use these on tripods or walk around with them. You should also invest in an infrared light extender, which will help your camera see in the darkest places and increase the quality of the video. Tape Recorder w/ External Microphone & High-grade Tapes – Recorders or digital voice recorders are without a doubt one of the most important pieces of equipment that you should have in you investigators toolbox. Audio recorders are used for many different purposes throughout an investigation. Recorders are used for interviews, spontaneous thoughts, your notes and electronic voice phenomena (EVP). You have to use an external microphone when recording EVPs (ghosts voices). If you rely on the internal microphone you will also be recording the internal gears and motors and this will make your tape worthless. Any sound you hear on the tape could not be used as evidence because of this, so use the external mic. They’re not that expensive. The type of tape that is most often recommended is high bias tapes or metal tapes. Digital Audio Recorders – This recorder is small and easy to carry. You can also use the voice activation feature, so there is less audio sound to review. Most units record the time of the recording as well, which is very useful. When using audio recorders be sure to state the location, time of investigation, and investigators names. When recording investigators names it would be wise to have each individual present state their own names, which will make it easier for distinction amongst voices heard on the tape during review. Voice activation mode should be deactivated on tape recorders during use when electronic voice phenomena is trying to be achieved due to the fact that it usually cuts off beginnings of words, sentences, and phrases. This is not necessary with digital recorders and they actual seem to work better in voice activation mode, although that limits your possibilities. Watch – So you can log in the times of events and your arrival and departure. Candles & Matches – Batteries often run low during hunts, so you may run out of them and still need a light source. Another good idea is a camping lantern that runs on lamp oil. Be careful using the candles around motion detectors because they will set them off. Compass – It’s a useful instrument to an investigator due to its compact size and low cost price. When used on an investigation this will indicate spirit presence when the needle cannot come to a precise heading or spins/moves erratically. This works on the same principle as an EMF meter. 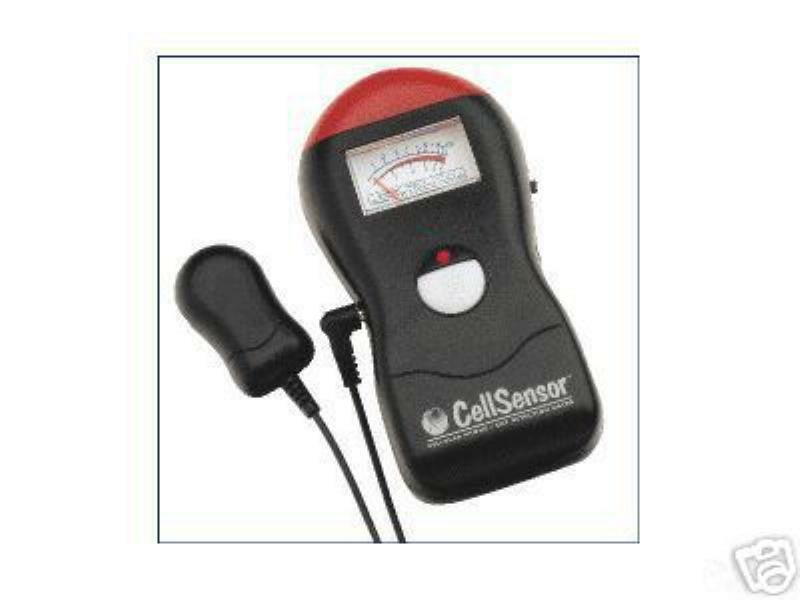 EMF Detector / MEL Meter – The Electromagnetic Field Detector, also known as an EMF meter, is the modern day ghost researcher’s tracking device, a very important piece of equipment. With this instrument it is possible to locate and track energy sources. It will detect fluctuations in electromagnetic fields and low strength moving EMF fields that have no source. It is a common theory that spirits disrupt this field in such a way that you can tell one is present by higher than normal readings with this meter. Before using the EMF meter as a ghost research tool on an investigation be sure to walk around the area and take initial readings around energy sources such as light poles or electrical outlets to be sure of the readings you receive while scanning the area during the investigation. Most units when purchased come with a manual describing most household and major appliances and their corresponding electromagnetic reading. When using the EMF as a tracking device look for fluctuations of 2.0 to 7.0, this usually indicates spirit presence. Anything higher or lower is normally has a natural source. A newer version of this device is a MEL Meter, which also comes equipped with a built-in thermometer and back light. Motion Detectors – These can be used to sense movements by unseen forces or spirits. You can get battery operated ones for about $20. They are great for inside, but they can be used successfully outdoors as well, just watch the placement. You don’t want a tree branch setting it off. Non-Contact Thermometer / Thermal Scanner – Thermometers are instruments that are also very useful. There are two types used… digital thermometers and infrared non-contact thermometers. When used on an investigation this will aid as a detection system for spirit presence. Rapid temperature drop of 10 degrees of more could indicate spirit presence. The one that is most recommended is the infrared non-contact thermometer because they react in less than a second to a temperature drop and you can scan a large area quickly. Cellular Phone – It can come in handy in case of an emergency. There are even a few applications (apps) that can be helpful, during an investigation. Or simply click on the banner to the right. A lot of the information we've gathered has come from various books, television shows, websites, or simply by word of mouth. Be sure to utilize all of the resources available to you when conducting research. Learn whatever you can about a location before going there unprepared. This file can be used to convert audio files from one format to another, crop them down to smaller files, split them in half, or just for listening to them. If there are any problems with the download, please let me know. It is compatible with Windows 7. This is a pretty decent media player, which plays videos in a higher quality than the Windows Media Player. It is compatible with Window 7.